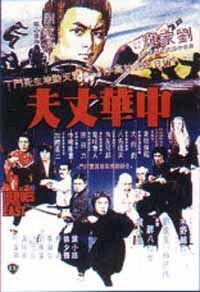 The Skinny: An arranged marriage between a proud Chinese man and a fiery Japanese woman leads to a variety of domestic squabbles, numerous cross-cultural misunderstandings, and a martial arts battle of epic proportions in this entertaining Shaw Brothers fight fest from master director Lau Kar-Leung. Can't we all just get along? That's the peaceful sentiment hoped foralthough not immediately achievedin Lau Kar-Leung's Heroes of the East, a not-so run of the mill kung fu flick that uses Sino-Japanese tensions as an excuse to showcase both countries' martial arts prowess, while delivering a little social commentary for good measure. The story hinges on the proud, but good-natured Ah To (Gordon Liu Chia-Hui), a young Chinese man stuck in an arranged marriage with a Japanese girl named Kuda (Yuko Mizuno). During the wedding, Kuda sticks to her own rituals and ignores the customs of the Chinese, a move that incurs the general ill will of those in attendance. But just when you think the story is going to be about a nice Japanese girl suffering at the hands of Chinese prejudice, the film quickly reveals that Kuda isn't as demure as she first appears. Like her new husband, Kuda practices martial arts, spending most of her days training in the courtyard. However, her idea of practice isn't exactly what you'd call polite. The woman's a literal home wrecker! Ah To and his servants watch helplessly as Kuda proceeds to knock over walls, destroy statues, and generally wreak havoc on her new home with gleeful aplomb. When Ah To asks her to tone things down and perhaps learn the "more ladylike kung fu" practiced by Chinese women, Kuda scoffs at his suggestion. Even worse, she orders all the Chinese weapons that Ah To stores in his personal gym to be removed and replaced with her Japanese arsenal. When To tries to explain the historical and practical value of his Chinese fighting implements, Kuda dismisses his opinion as ludicrous, happily mocking the Chinese way. Since Kuda fancies herself a martial artist, To challenges her to a duel, in which they each would use the weapons of their respective countries. Kuda agrees, and loses each battle, but in the end, she resorts to the less honorable (at least in To's eyes) art of ninjitsu, nearly killing her husband! As one might guess, this duel doesn't help resolve their differences. The confrontational behavior continues for most of the first act until Kuda, fed up with the arrangement, returns to Tokyo to consult her sensei and possible ex-lover, Sanzo (Yasuaki Kurata). With his wife away, Ah To parties hard, but is later convinced by his sniveling servant Hsiao Kwan (Cheng Hong-Yip) to send for her. Knowing she would be too proud to return without good reason, Ah To writes a letter mocking the Japanese way in the hope that Kuda will be so enraged that she will return to China immediately. Once back in Chinese territory, Ah To figures he can easily explain the ruse to Kuda and make a fresh start. Unfortunately, all does not go to plan as the jealous Sanzo ends up reading the letter soon after Kuda receives it. Viewing it as a slap in the face to all of Japan, Sanzo and the best fighters from his dojo head off to China to take up the gauntlet unintentionally thrown down by our hero. Of course, Ah To is shocked to find the masters of kendo, karate, nunchaku, spear, sai, and judo at his doorstep to answer his "challenge." After some hesitation, Ah To agrees to fight, using swords, drunken boxing, a three-sectioned staff, a spear, two butterfly knives, and some baby oil (you'll see!) to counterattack his aggressors. Although he finds some success in dealing with the masters proficient in only one style, Ah To faces a considerable challenge in Sanzo, a master not only of ninjitsu, but of the all the previous Japanese styles Ah To encountered as well. Ultimately, this begs the question, "Will Ah To be up to the challenge?" As a martial arts film, Heroes of the East's best quality would have to be that its director, Lau Kar-Leung, never once presumes that the mere fact that two people are fighting is inherently interesting and exciting to the viewer. To his credit, Lau not only showcases a variety of martial arts styles and character types in constructing his fight scenes, but spices up the backgrounds as well, often shooting the sequences in various interesting environments. It's a small touch, but it's the variety that stops the movie from dragging on into oblivion. No one wants to watch a kung fu film that makes kung fu look like an exercise in tedium, a problem Lau deftly sidesteps. One could argue that the movie puts forth an inflammatory agenda due to the negative portrayal of the Japanese; Kuda comes across as a real shrew for the first half of the movie, and the Japanese are the de facto "bad guys." But none of the negativity comes across as mean-spirited or crassly stereotypical. Oddly enough, it's the positive portrayal of the Chinese that helps mitigate this factor. In a truly anti-Japanese movie, the Chinese would hate the Japanese, their hatred for them would be endorsed by the movie, and the Japanese themselves would be depicted as subhuman monsters. Here, regardless of the antagonistic mechanics of the plot, there's a clear sense of respect for the Japanese styles and an overt concern for avoiding an international incident. Ah To's sober teacher (Simon Yuen Siu-Tien) even goes so far as to make a point that this is not a case of China versus Japan, but a battle of individuals. The film certainly walks a fine line of ethnocentric thought, since the Chinese way wins out, but none of it seems racist. Compared to the depiction of the Japanese in classic films like Fist of Fury, the "villainous" Japanese seem pretty tame in this one. In the end, it's all just a big misunderstandingwhich, of course, is how half of all cinematic kung fu fights start. If anything, the strong performances of the major players really help hold the film together, particularly the two leads, Gordon Liu and Yasuaki Kurata. Overcoming a goofy haircut, Liu takes center stage as Ah To, and unlike his later more iconic roles, here he's a henpecked husband pushed to the breaking point. There's a saying that a hero is only as a good as the villain who opposes him, and that certainly is the case in Heroes of the East. With his rugged good looks and obvious martial arts skills, Yasuaki Kurata makes an excellent antagonist for Ah To. Lau Kar-Leung chooses not to use a stereotyped image of a Japanese male, and instead opts to make Sanzo every bit as charismatic as Ah Toa move which in turn shows confidence in lead actor Gordon Liu. Even Lau Kar-Leung gets into the act, showing up at one point as a drunken master who accidentally trains Ah To in drunken boxing.  One scene in particular seemed to pose some problems for the English dub team: when Ah To apologizes to the Japanese combatants, Sanzo translates the hero's words to Japanese for his comrades. However, since the characters are all speaking dubbed English in the American version, Sanzo's lines are changed into "Yeah, I agree with him! "-style comments that jarringly overlap with Ah To's apology!  This review is based on the only edition of the film currently available in the United States: a severely cropped, English dubbed version alternatively titled Shaolin Challenges Ninja. Intercontinental Video Limited released Heroes of the East on DVD with its original language track in early 2005.